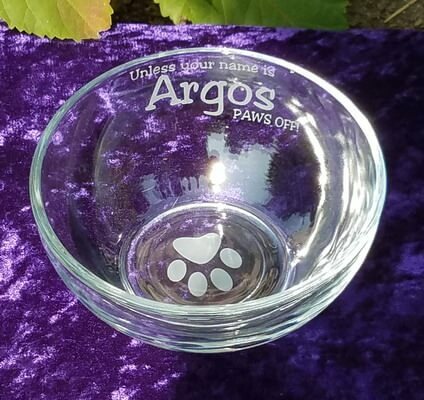 The 6 inch Round Dog Bowl is manufactured by Libbey. 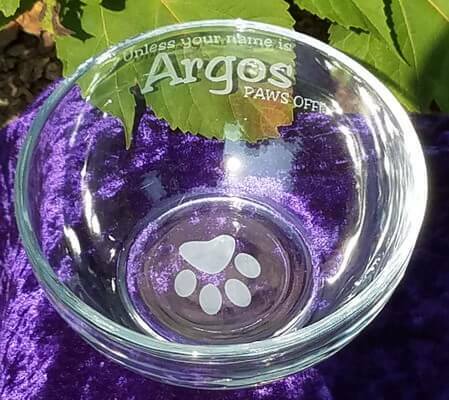 This charming round glass bowl comes as shown in the photo with both the bottom and one side of the bowl deeply sandblasted with your dog's name and the other fun accents. The work is done on the outside of the bowl for easy clean-up, and for a better look. 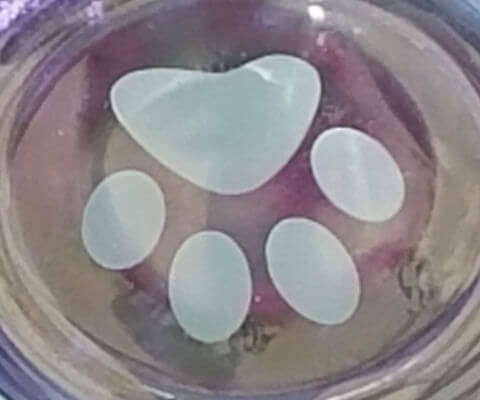 If you'd like this bowl with something else on it I'll be happy to work with you, you can email me at info@fantasyglassworks.com.